From sleeping under the stars to the daily commute, life’s all about journeys. 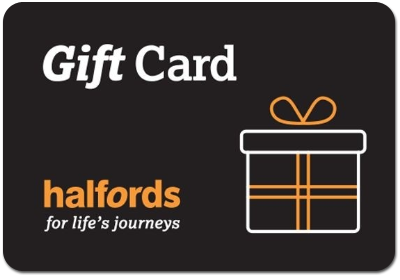 All our eGift Cards are redeemable in any Halfords store where we’ve thousands of great value motoring, cycling and leisure products to choose from. Unfortunately Halfords Gift cards are not accepted online or in Halfords Autocentres.